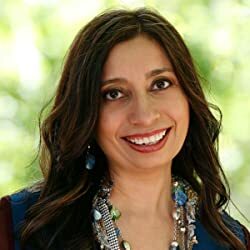 Rani in Search of a Rainbow by Shaila Abdullah is set in Pakistan around the time of the 2010 floods that displaced or disrupted the lives of 20 million people. Rani and her family are transported to a cap where they live in tents and have very little from their original homes. However, Rani and the kids in the camp are quick to play and find the sunshine amidst the rain. Some play with tires and others play games with one another, but Rani wants to help. She spends her days moving about the camp in search of a job, but she’s too little to help unload the supply trucks and she’s to young to help her mother birth babies. This eight-year-old, however, is not defeated by her youth or her size, she is determined to find a way to help. When her friend and neighbor, Juju becomes ill, she again seeks out how best she can help. Abdullah has created a wonderful story about a young girl who remains resilient and positive in the face of a great many challenges. These children and their families have had their lives uprooted and schooling disrupted, but like her parents and the other adults, she is making the best of it. From making new friends and helping those in need, Rani and her family — all of the families — are rebuilding their lives even if they are out of their home element. Rani learns that the biggest way she can help is by being a friend, and that just may be enough. The illustrations are vibrant and give kids a sense of what camp life is like without being too gritty. The illustrations are very easy to relate to and can spark discussions with younger children about Pakistan, its culture, and the terrible floods that displaced these people. Rani in Search of a Rainbow by Shaila Abdullah could be a great tool to use to teach children about resiliency and kindness, as well as how to cope with unexpected disaster as a family. Perfect for children ages 5-8.